Although Grandma, Thelma Mariah Oakley West, was born in Olean, New York, in 1904, her family moved to Bradford, Pennsylvania when she was young. Great Grandpa, George Clair Oakley found a house for them on Summer Street in Bradford and Grandma and her siblings would grow up there. 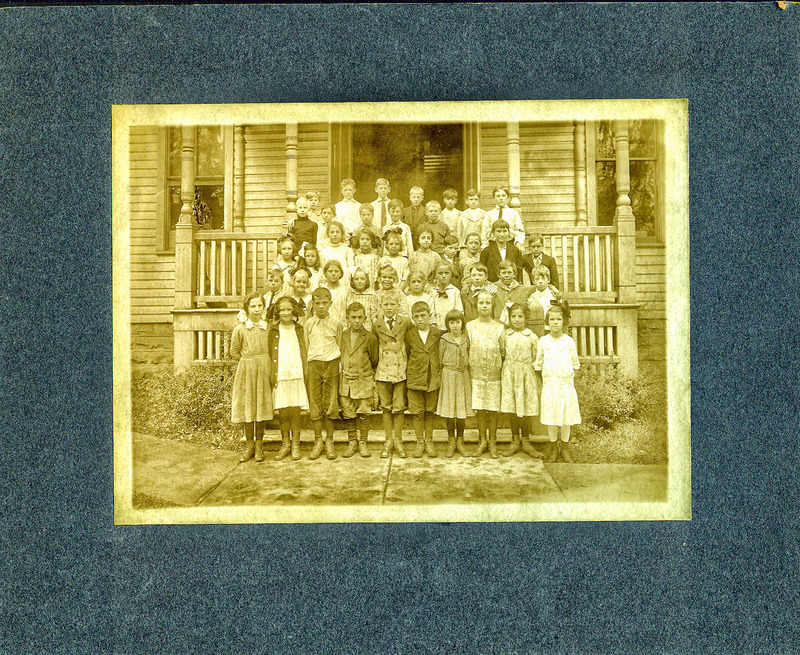 This picture is of Grandma and her grade school class at the Second Ward School, on the corner of Elm and Congress Street. Grandma is in the front row, first from the right, with the bow in her hair. I am estimating that the photo was taken about 1913. Bradford’s population was growing rapidly and by the 1920s had reached 20,000 and it wasn’t uncommon to have 50 children in a grade school class. This class had around 40 children in it. The wooden building would be replaced in 1935 with a brick building.